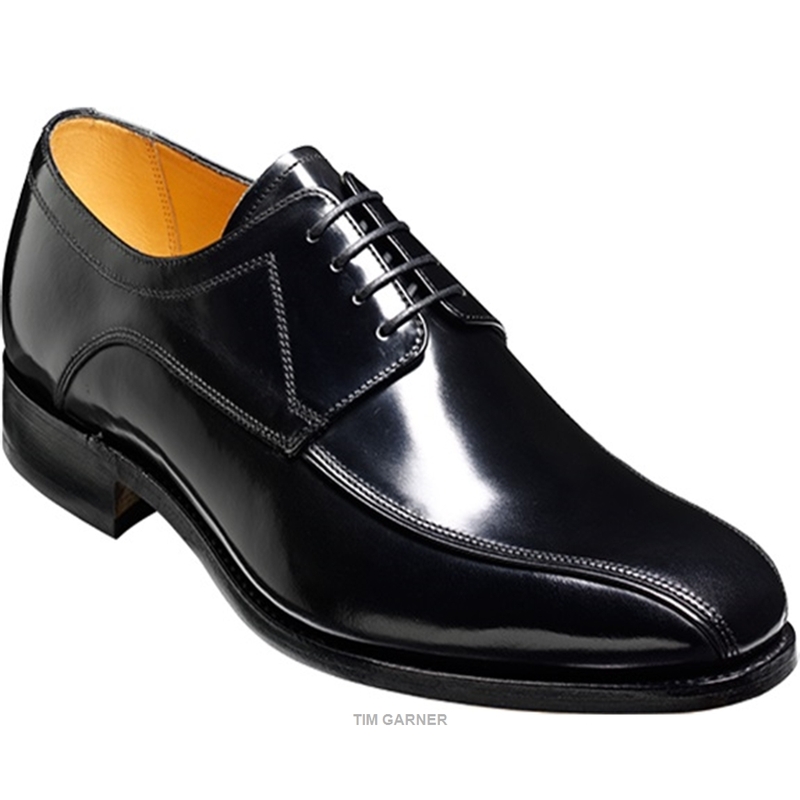 A chiselled tramline derby, with distinctive stitched detailed quarters. Available in Black Hi-shine with a rubber inserted sole. This polished black shoe is the perfect way to finish off a formal outfit, either for work or on a special occasion.